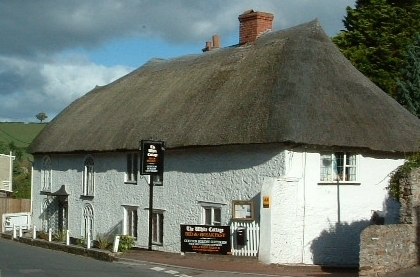 The White Cottage is situated in the beautiful Axe Valley near the Devon and Dorset border, under 3 miles from the Jurassic Coast at Seaton, a World Heritage Site. Both Lyme Regis and the Regency town of Sidmouth are around 20 minutes drive and the unique Seaton Tramway can take you to the coast alongside the River Axe. 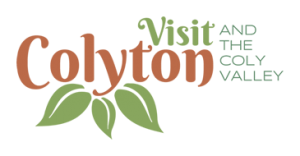 Colyton, a small town with a village atmosphere, provides local pubs, restaurant, general store, butchers, pharmacy and post office nearby. River, countryside and coastal walks are popular with guests. Golf courses at Axmouth (less than 3 miles away), Sidmouth, Honiton and Lyme Regis offer a variety of challenges for any handicap! Our Bed and Breakfast rooms are all en-suite and equipped with TV/DVD and freeview along with Tea and Coffee making facilities, Hair dryers etc. They have been recently refurbished in sympathy with the 15th century thatched cottage. We offer a choice of single, double or family rooms. Our younger Bed and Breakfast guests can be provided with cots and high chairs on request. All guests can relax in our pretty garden and patio area. There is ample off road private parking provided. Bicycles and Motorcycles can be parked in our garage overnight on request. Smoking is not permitted except outside. We regret that we cannot accept pets in our Bed and breakfast accommodation.